At Contemporary Dental Health, we take pride in helping you achieve the healthy, beautiful smile you deserve. Our experienced dentist Dr. Keith Ogawa will work closely with you to determine the best option to meet your unique goals and oral needs. Honest communication is an essential component of our approach to patient care, and key to successful treatment. To learn how Dr. Ogawa can help you achieve and maintain the healthy, gorgeous smile of your dreams, please call 503-636-4069 to schedule a personal consultation. Contemporary Dental Health helps men and women throughout Oregon, including Lake Oswego, West Linn, Portland and other nearby areas. If you experience chronic headaches, jaw pain, jaw-popping, ear ringing or other symptoms, you may be suffering from temporomandibular joint disorder, or TMJ/TMD. With proper treatment, Dr. Ogawa can relieve your TMJ symptoms and help you get back on track. Snoring can be more than just an annoying nuisance to those within earshot; it can be a symptom of a serious sleep disorder known as sleep apnea. This dangerous condition occurs when your breathing stops repeatedly during slumber. It can cause serious health problems when left untreated. Dr. Ogawa offers an effective alternative to CPAP treatment for sleep apnea. Which Dental Treatment Is Right for You? Dental issues can be functional and aesthetic. If you need to restore a specific aspect of your smile, Dr. Ogawa will work with you to find the treatment or combination of procedures that are right for you. 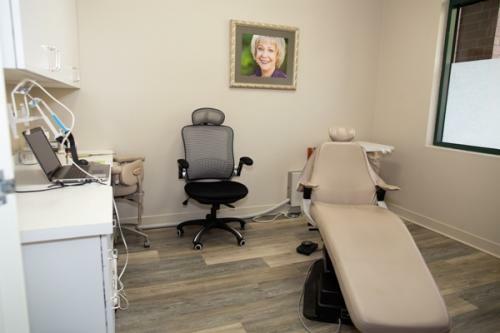 This is your dental care; Dr. Ogawa will explain the details of your oral evaluation, recommend the best solution and offer options to help you reach your goals. Restoring your mouth to optimal health and helping you achieve a bright, dazzling smile can make a tremendous impact on your life. Let Dr. Ogawa help you find a solution that meets your personal goals. Dr. Keith Ogawa is a highly-skilled, LVI-trained dentist with 25 years of experience. His unwavering commitment to excellence and meticulous attention to detail help to ensure that your results are beautiful, long-lasting and second to none. Dr. Ogawa believes that providing premium dental care requires more than just working on teeth. It demands a partnership between the dentist, our staff and you, our patient. Together, we can find oral health solutions that will help you enjoy strong, beautiful teeth for years to come. You deserve the finest dental care available. If you’re looking for an experienced dentist you can trust in the Lake Oswego, West Linn or Portland areas of Oregon, please contact Contemporary Dental Health today online or at 503-636-4069.